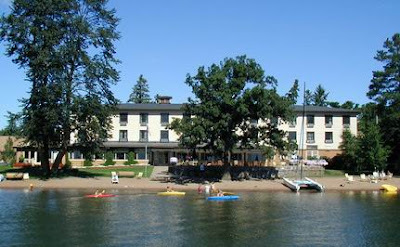 Destination Of The Month: Ruttger's Birchmont Lodge On Lake Bemidji, Minnesota. Hurry, Summer is almost over in Minnesota! All kidding aside, this is the nicest time of year up North, gods Air Conditioning is cranking and there is no better place on earth… This is the real deal, family, fun, and classic boat rides. What more can one ask for? Well, there is Massage Therapy, Sauna, Tennis, pool, and more. Dang! 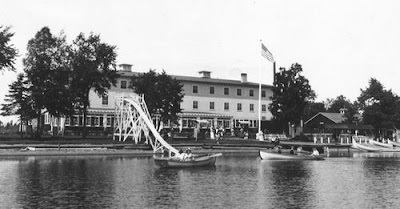 The Ruttger Family’s tradition of hospitality goes back four generations – that’s more than 100 years of historic family resort operation in Minnesota. The cool thing that sets this place apart from other’s is that Randy Ruttger loves classic boats and will give you and your family a ride around the beautiful lake while you are there. That’s the key secret ingredient to a complete vacation. mmmm the sound of birds mixed with a flat head motor and 3,000 rpm… YA, that’s the ticket. 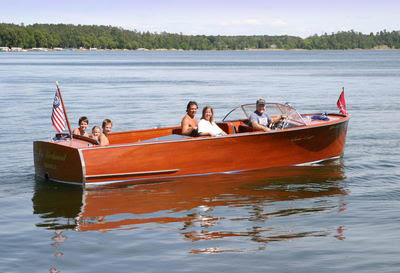 Tony Mollica To Speak At The January 17th Antique Boat Center Open House. Ahhhh, One Last Classic Boat Road Trip! The Boat Buzz Un Plugged - The First Of Many To Come!